PHP works with many databases. You can connect to many databases and manipulate with them with PHP. But the MySQL is most widely and popular databases with PHP. So now we learn more about MySQL. MySQL is the widely used open-source Relational Database Management System(RDBMS). MySQL is the database used on the web and it is runs on the server side. MySQL is good for both small and large application. MySQL is reliable and easy to use database. MySQL is supported by number of platforms and It supports standard SQL. So from this we got to know about both PHP and MySQL. 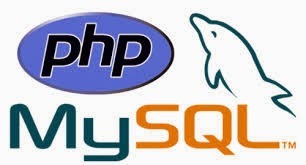 So now we move to the PHP with MySQL that is how to use PHP with MySQL. First you have to connect to your mysql through PHP so you need to use mysql_connect().